Before the advent of the internet (perhaps 25 years ago), the airlines advertised job vacancy through the newspaper. The applicants were asked to submit their resumes etc through the post. After shortlisting the suitable people, the airlines would call them up for a 1 day interview. If all was fine, the successful candidates would be sent for a medical checkup. Today, with the advent of the internet, SIA has its own career website. Applicants were invited via the website and attend the walk-in interview. After a 2 day interview, the successful ones will be asked to go for a medical and if found to be healthy, the job will be offered. Also, until recently, applicants were asked to submit a video introducing themselves. If found suitable, they will be invited for the face to face interview. After a few rounds of the interview, successful ones will be asked to go for a medical. Now, it's somewhat back to the procedures which were practised decades ago. 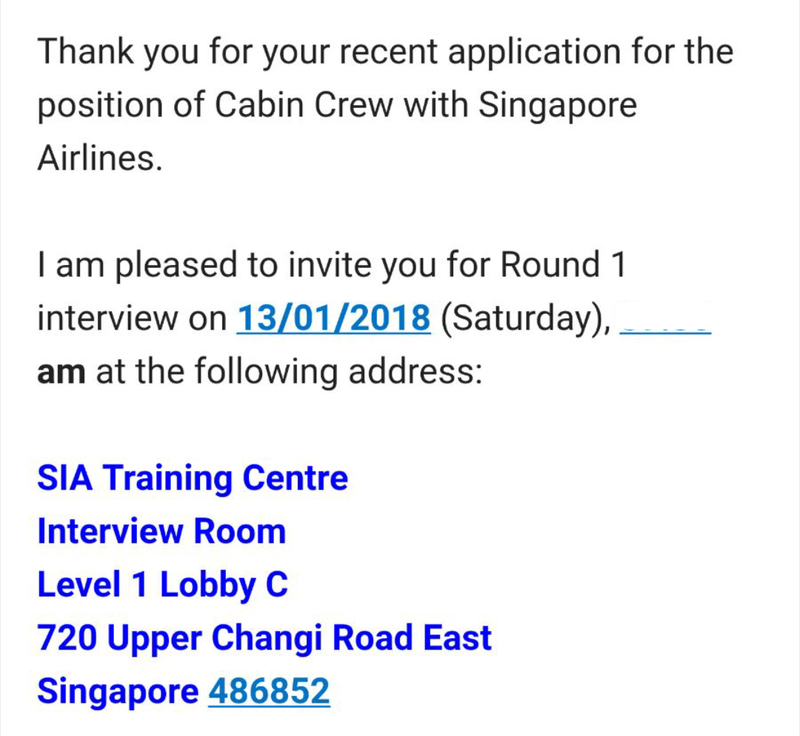 SIA advertised via its website and shortlist those they want to interview. In 1 day, the wannabes will know the outcome of their interviews. 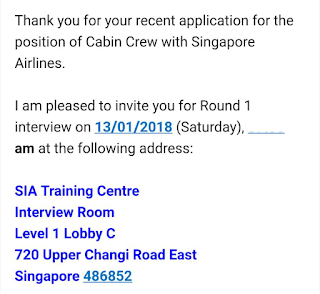 No more, at least for now, will there be walk-in or video interview in Singapore. There is a Hokkien saying something like "LPPL"! Below is a sample of the invitation to attend the interview. SQ wants cheap everything including digital things. Looks very advanced & up to date all these video interviews etc. to review, sort and decide, and follow through. any change visible is cosmetic. Attend my talks this coming Friday or get a copy of my e guide. The richer your are the more Jew u become. A true way of how Shylock thinks.